Turn everyday notes and messages into an evolving work of art with this beautifully framed magnetic and dry erase home-office assistant. It's a great way to add organization and function to your home without sacrificing style. This high quality, multifunction board has a magnetic board on one side and a dry erase surface on the other side. Write to-dos or reminders next to pinned up notes, photos, or artwork. Works as great in the dining room, kitchen and mudroom as it does in your home office. It features a rustic 1 3/ 4-inch wide and 3/ 4-inch deep frame with distinct wood grain on a simple, flat surface. The finish is a weatheredhered blue grey with natural wood color showing through. 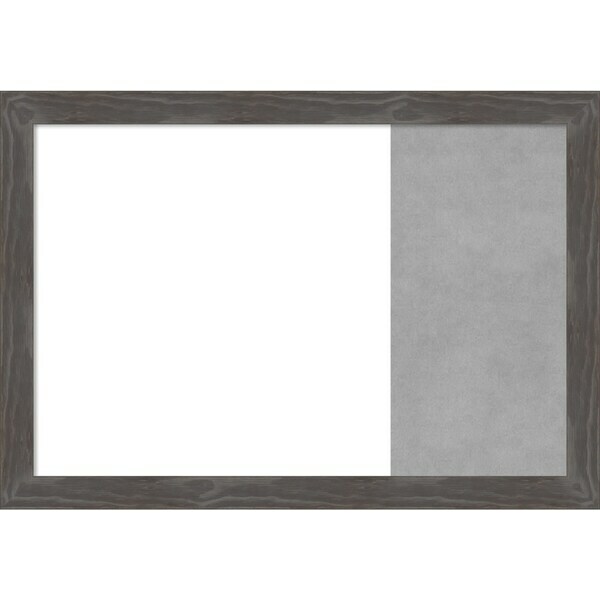 This frame is 100% real wood.This multipurpose board with a 100% real wood frame is handmade in a small, custom art and frame shop in the American heartland. You will be proud to display it in your home. Dimensions 0.75 In. X 29.75 In. X 20.75 In.